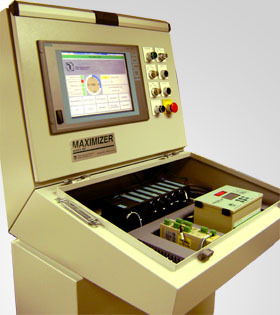 The Maximizer is a fully integrated press automation and control system. 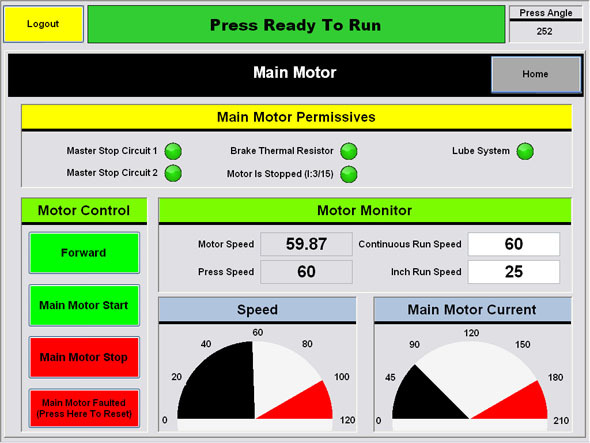 The PLC-based package allows for customization and expandability. Create the system that fits your needs now, then enhance and expand as your needs change. 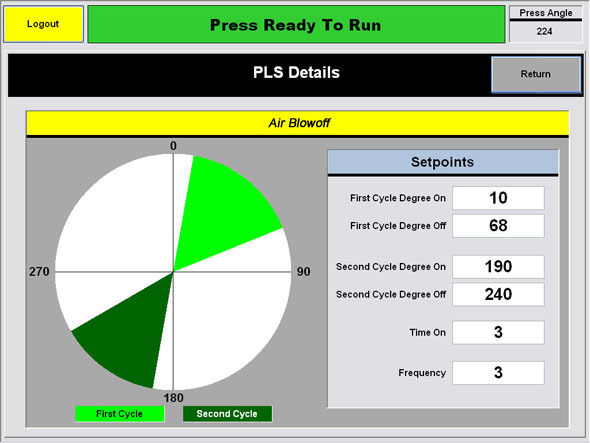 Only PLC based systems can offer you the versatility and flexibility that you require for your production environment. 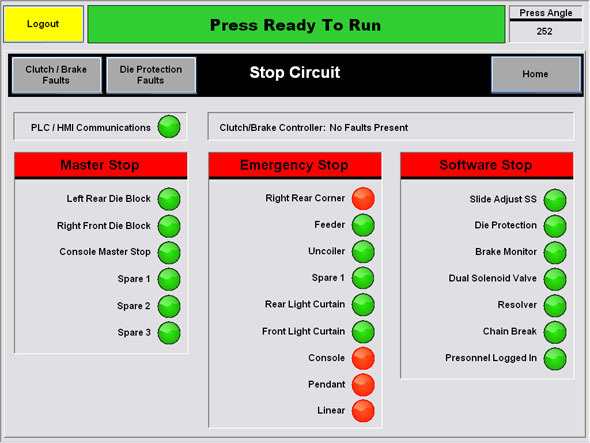 Have your die protection, tonnage monitoring, programmable limit switches, brake monitoring, motion detection, counters and more with the Maximizer! These systems can be used with many different types of machines and presses, including mechanical, hydraulic, forging and powdered metal. The Maximizer is easy to set up and operate. There are user-defined names for auxiliary automation using alpha/numeric entry. 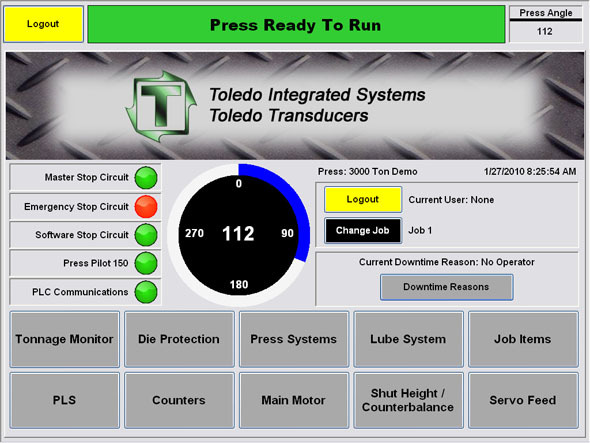 The die/job number automatically recalls all previous settings for faster and more accurate die setup. 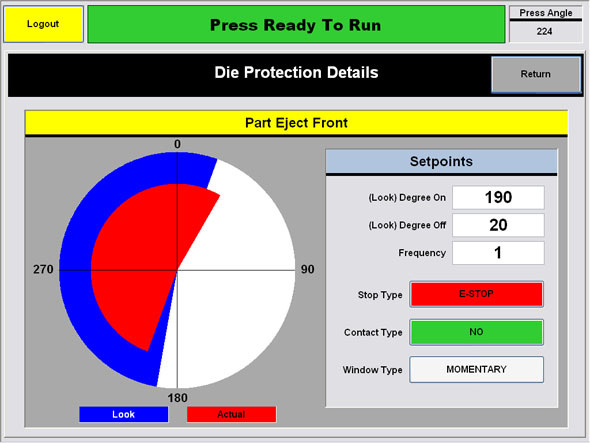 The die protection and tonnage monitor are programmable to bypass coil fed progressive die stations until material is through the die to reduce nuisance alarms during coil change. 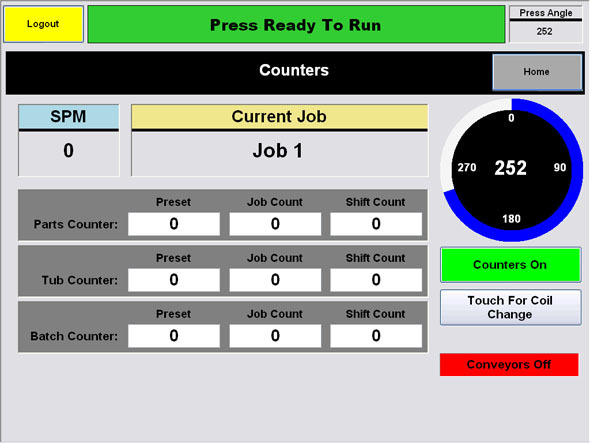 We offer many press control solutions through our Maximizer package. See below for our complete Maximizer package listing.